Anti-racist campaigners have staged a protest against a far right group which has been targeting Manchester universities with 'hate' literature. Generation Identity has been accused of posting inflammatory material including next to a faith room at the University of Salford. The Europe-wide far right group has been labelled “extremist” by the Home Office which has banned several high ranking member’s from entering the country including leader Martin Sellner. The Austrian government has also labelled it a criminal organisation due to its extremist views and provocative campaigns. Students from all three Universities- including Manchester Metropolitan University - staged a demonstration at the University of Manchester organised by Stand Up to Racism Manchester at which they spoke to students and members of the public. Deej Malik-Johnson – University of Manchester welfare officer and one of the organisers - told Northern Quota: “It’s very important for the Students Union to stand with students against this kind of racist nonsense. “Generation Identity are a hateful, neo-facist organisation. Sellner was banned this year from entering the UK by the Home Office. Officials regard him as “a serious threat to the fundamental interests of society and are likely to incite tensions between local communities in the UK”. 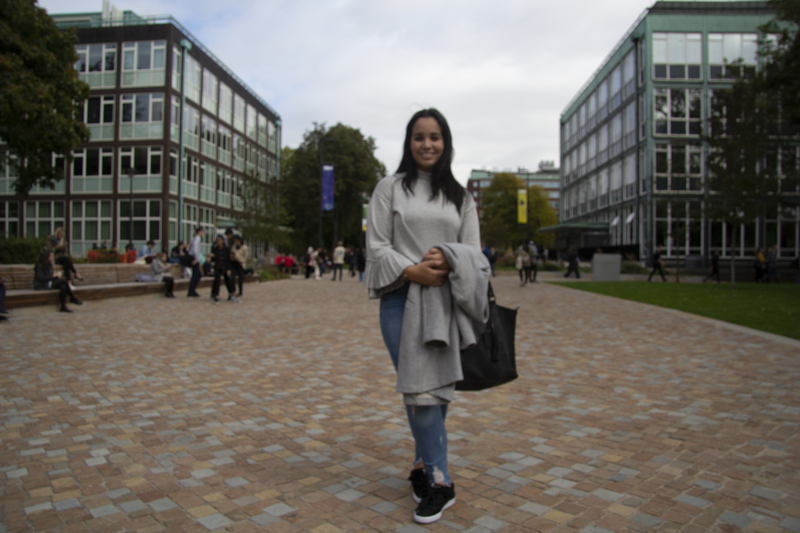 Hiba, a student at the University of Manchester, said the posters and stickers “make me feel scared to express my beliefs”. The University of Manchester said it “completely rejects the views expressed by these stickers and posters and the organisations responsible for them. "As an institution, we are proud of the University's diverse staff and student body and will continue to promote a message of inclusivity across campus”. Generation Identity say they wish to reclaim the white European identity, which they state, is being “eroded” by multiculturalism and the “third world migration”. Anti-racist organisation HopeNotHate has investigated Generation Identity and said in a report: "Initial offline activity was confined to putting up stickers and posing for pictures with the movement’s black and yellow lambda flag. However, it was clear from the start that the leadership of Generation Identity in Europe had high hopes for the UK branch, seeing it as a wider gateway to the English speaking world."